Your website’s keyword ranking can make or break your business. Keep reading to learn some helpful tips for improving your keyword ranking for search engines, including Google, and how EmoryDay can help improve your ranking even more with the right keywords. So, the higher your website ranks on a search engine’s results page, the more traffic you will get to your site. And, as you know, the more traffic you get to your site, the better your chances are of converting leads into customers. Paid search is definitely worth the cost, but in order to reap the awesome benefits of PPC advertising, you need to do it right. Keep reading to learn all about pay-per-click advertising, including what it is, how it works, how it differs from organic search, how keywords factor in, and how EmoryDay can help you get your money’s worth with paid search. PPC advertising, otherwise known as pay-per-click or paid search, is a type of marketing in which a company places an ad online that appears when someone searches for the ad’s keywords. The company that places the ad pays each time a user clicks on it. The purpose of a pay-per-click ad is to drive traffic to a company’s site or specific landing page, and ultimately, convert those site visitors into paying customers. Pay-per-click ads typically appear at the very top of a search engine’s results page, right before the organic search results. A landing page is an extremely important part of every marketing campaign. And, while a landing page’s goals will vary depending on your campaign, they typically have a single purpose: to get the page visitor to become a lead by taking an action. Having an awesome landing page can greatly increase conversions for your PPC or email marketing campaigns. Keep reading to learn more about landing pages, including the anatomy of a landing page and tips for each landing page component. Autoresponders are a great way to enhance your company’s lead nurturing efforts and convert more of those contacts you acquired through lead generation into paying customers. Keep reading to learn all about autoresponders, how they can help turn more of your leads into customers, the different types of auto-response emails you should be sending, and the necessary components of successful autoresponder emails. Autoresponders are a popular email campaign marketing tool that allow you to nurture the leads, especially new prospects, in your database by sending them follow-up emails and relevant content at scheduled intervals. Using SEO tactics will definitely benefit your business. But, not all SEO is created equal. Keep reading to learn why SEO is so important for your marketing efforts and why you need to be careful about what type of SEO you use. First things first. What is SEO? Search engine optimization, or SEO, involves using tactics to improve the ranking of online content (website, landing page, blog post, etc.) in organic, non-paid search engine results in order to drive more traffic to that piece of content. Surveys are a tried and true way to collect information about your customers: about their experience, about what they like, about how you can do better as a business. But more important than what you collect is what you build when you engage your customers: relationship. When you pause to ask their opinion, you customers will feel valued and more connected with you. The result? They’re more likely to do business with you in the future. 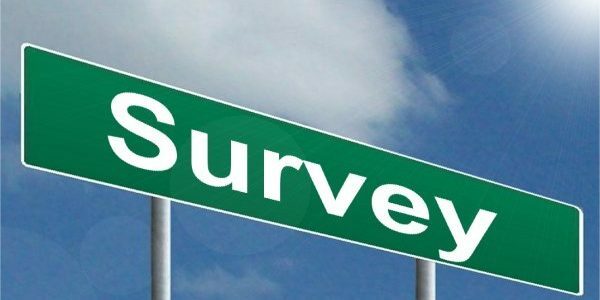 Today, inexpensive, easy-to-use online survey tools make conducting surveys easier than ever. If you’re not sure how to get started, try one of the following ideas geared towards helping you grow your business.. If you’ve ever described your target audience as “anyone who will buy” your product, consider doing some research and narrowing your focus. Then, you can create buyer personas that represent your typical customers. These personas provide your entire team a clear understanding of your target audience and their needs – and how to best meet them.